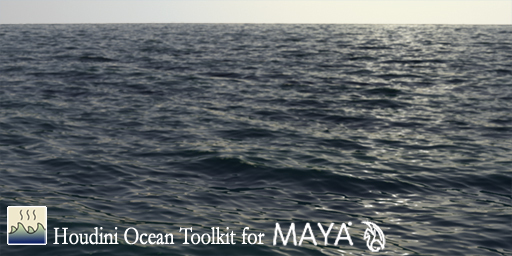 It consists of a shader for arnold, vray and mental ray and a maya deformer. For example you can setup your waves in the viewport with the deformer on a small plane and render them as displacement with the shader on a large plane. Or do some collisions with the deformer etc. The eigenvalues can be written to vertexcolors or rendered with the shader. (Sourcecode is included.) In Maya 2016 set the Evaluation Mode to "DG" inside your Preferences -> Settings -> Animation. Otherwise you will get incorrect results. In 2017+ use Parallel or Serial. Legacy Package: This includes compiles for Win: Maya 8.5 64, Maya 2008 32/64, Maya 2009 32/64, Maya 2010 - 2012. Not all of the newer features are implemented in these compiles. Ptex is a new texture mapping system developed at Disney. Using a per face uv assignment it removes the need for a uv layout, provides multiple texture resolutions for different faces and efficent file handling. I developed a simple method to use ptex files in Mental Ray for Maya by automatically creating an actual UV layout for every face and using that in a custom file texture shader. This process is far from perfect but as long as mental ray does not provide native support you may use it to play around with the ptex file format. Use it at your own risk. It's more like a proof of concept and maybe I will work on it some more or maybe I won't. I tested it with 3d coat and the example files of the ptex distribution.Only the nonquad case of the examples doesn't work. Here I will post some of the stuff I program in my spare time. Most of it is not really production proven, but should work nonetheless. If you like it or have any questions just drop me a line.